This handy all-in-one set is one of those "how did I get along without it?" items every DIY-er simply must have. 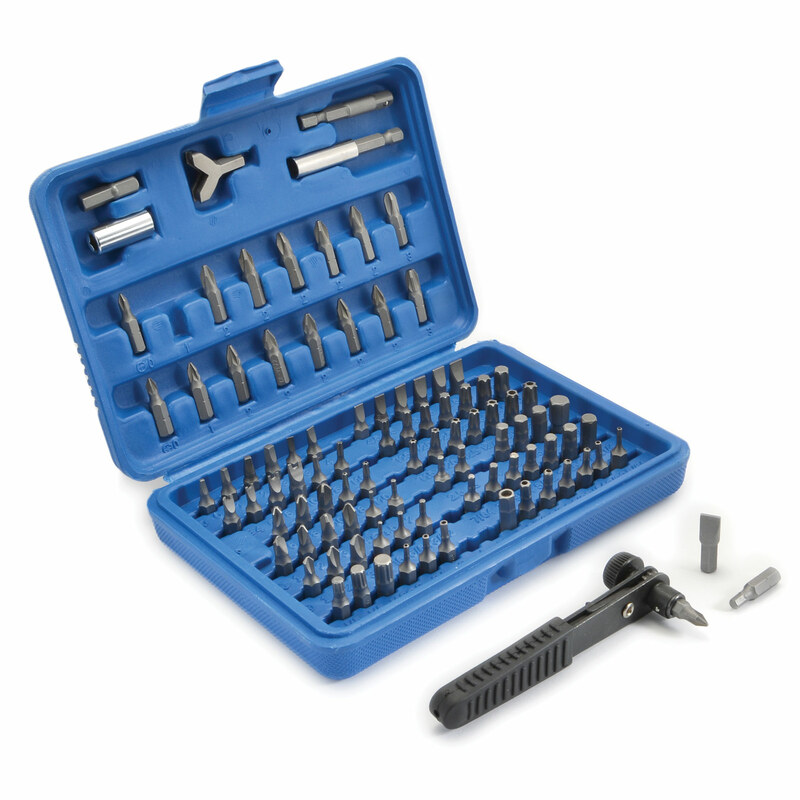 Includes reversible ratchet handle with 1/4" hex shank, 100 assorted bits and holders of nearly every specialty and standard variety and a heavy-duty molded plastic storage case.